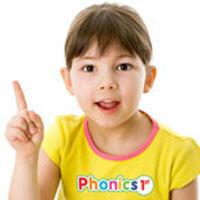 Phonics 1st is a top tutoring English school for children aged 2-12 years. We are also a leader in the form of modern teaching methods with Interactive Touch Screen navigation that is used in all classes. The teaching curriculum has been developed to be in line with the appropriate age of the children and their development. Phonics 1st has been open since 2008. 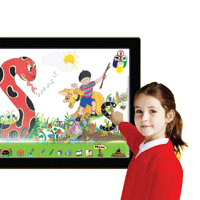 The Jolly Phonics program is highly recognized by top British International schools. We adapt methods to meet learning styles of Thai children which enables them to learn the correct way of English pronunciation and also gives them a good foundation of vocabulary and grammar in English. This enables students to distinguish different sounds and gives them the ability to mix words and read aloud correctly. Young children will learn through fun activities with English native speakers who have taught Phonics and have experience in teaching young students. Phonics teaches children to recognise the correct sound of the letter and help children read or spell words easier without having to memorise vocabulary based words, this is a major benefit associated with Phonics. Our program is suitable for children aged 2-12 years. All classes are taught by English native speaking teachers that have experience teaching children. We have 5 branches in Bangkok located in shopping centers. 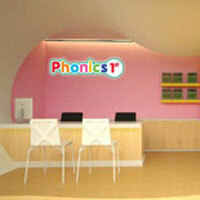 Contact us for details about Phonics 1st branch locations. Phonics 1st has compiled helpful resources in the form of video clips and pictures to enhance students knowledge and understanding of phonics for use outside the classroom.